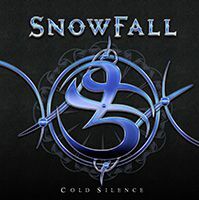 Take a few awful snow or cold weather related puns, throw in a classic 80s hard rock vibe in the general style of Whitesnake and others, and you have Snowfall. Opener “Don’t Drive Me Home” is a fresh take on the familiar sound and although the chorus gets a little repetitive it’s certainly ahead of the masses that seem to be swamping the AOR and light end of hard rock markets. “Citadel Of Hope” then goes all the edgier with some solid riffs and a good bit of pace, all the stronger for it. The rest then play out a little as expected but still maintaining a good driven rhythm through it all with riffs and solos flying around nicely. A couple more sneak ahead of their fellows, the very mellow “Heaven’s Not Up There” and the slow but racked up “Alexandria” and there is enough variety to make it feel like a full album. I definitely prefer their slightly heavier numbers and that latter example has a cool keyboard part sitting underneath it all. It’s fairly original stuff with clear nods to the good old days with plenty of variation and some cool playing throughout. Worth checking out.